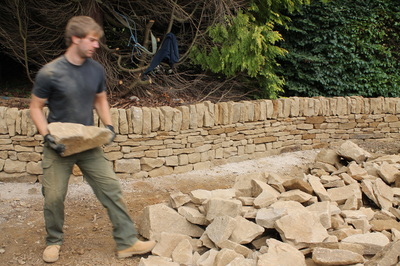 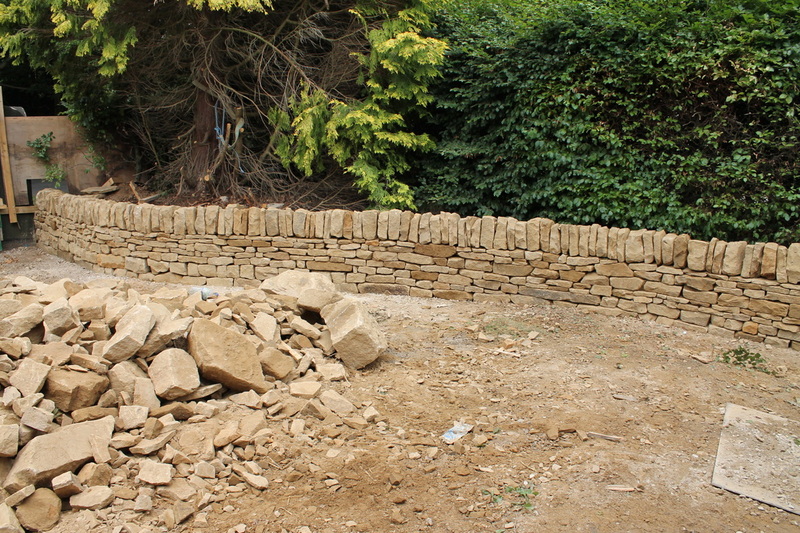 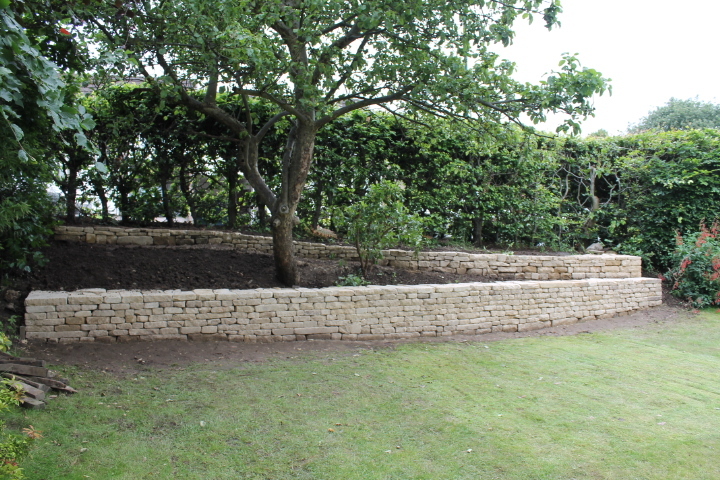 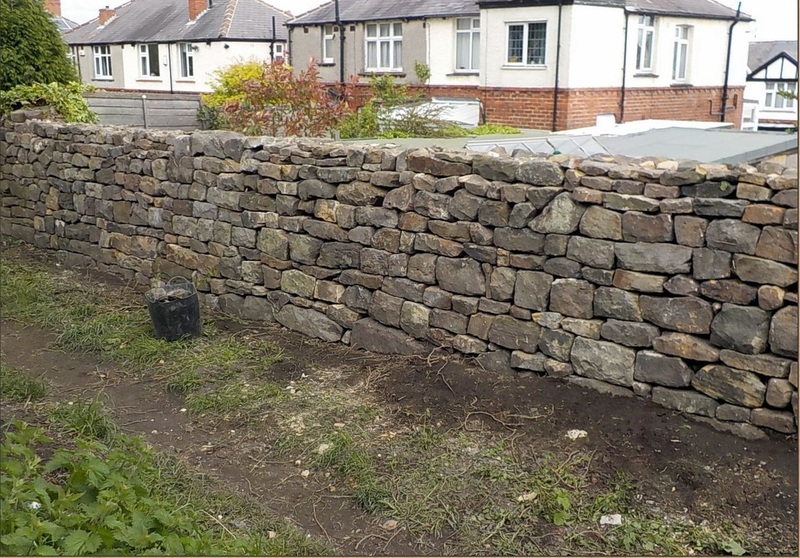 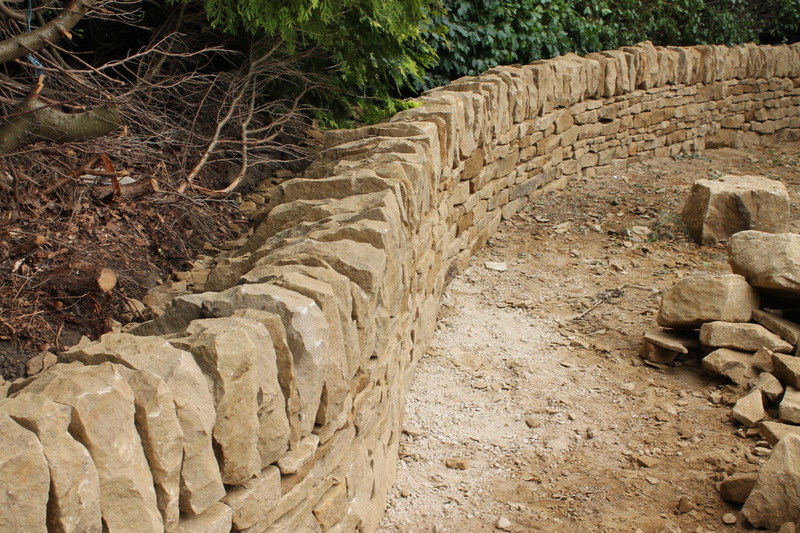 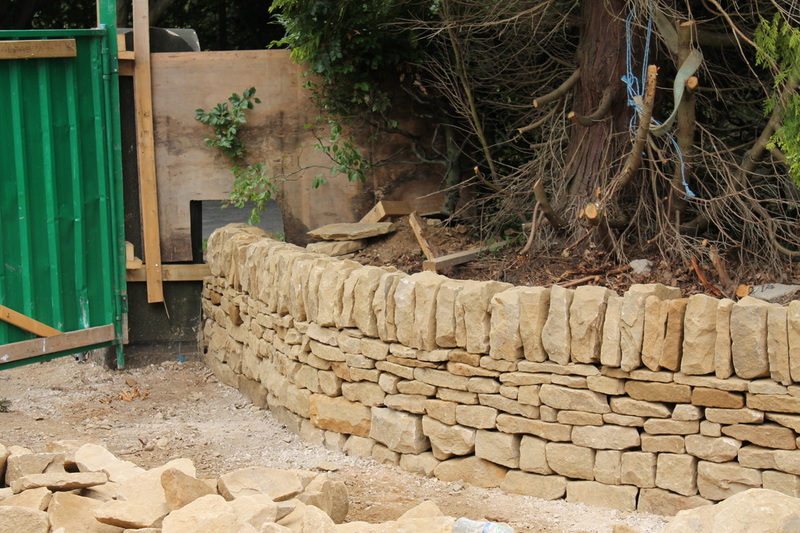 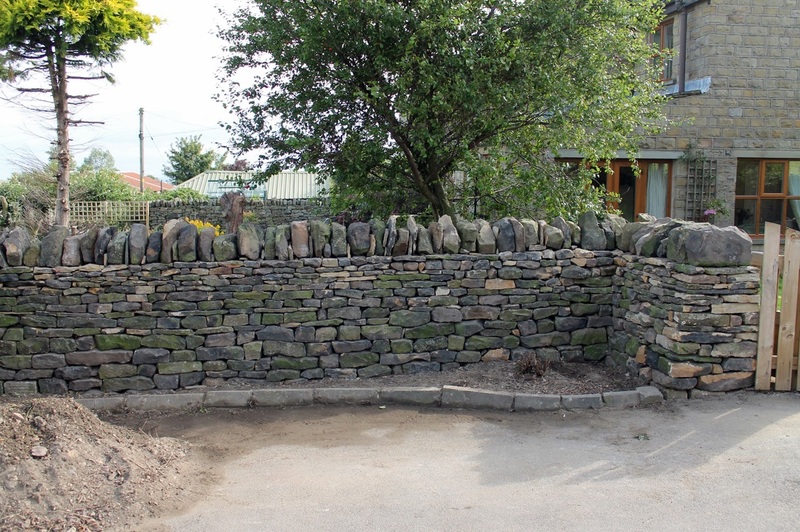 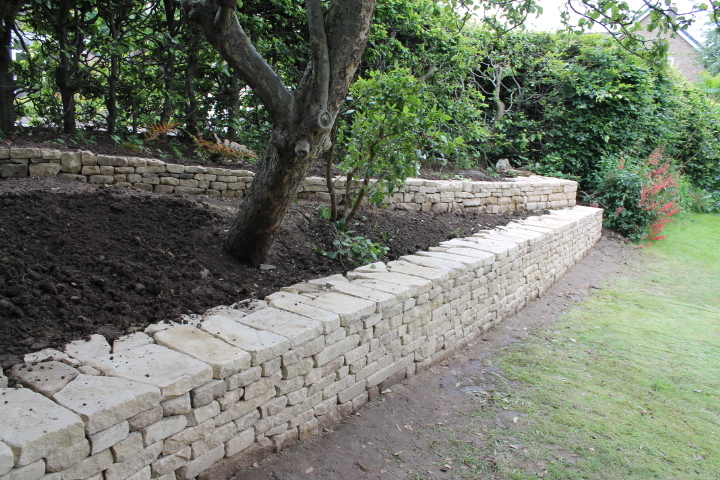 Here are some examples of recent dry stone walling jobs we did in gardens both in rural and city settings, with different types and sizes of stones. 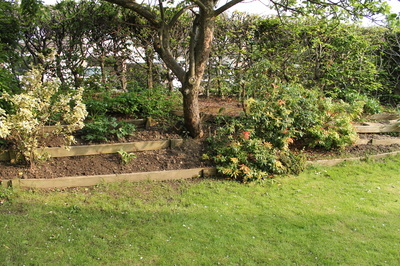 The aim of this job was to replace some wooden boards fixed into the ground with something more permanent and allow a corner of the garden to be formed into sloping beds that could be planted. As this was a totally new construction, quarried stone had to brought in. 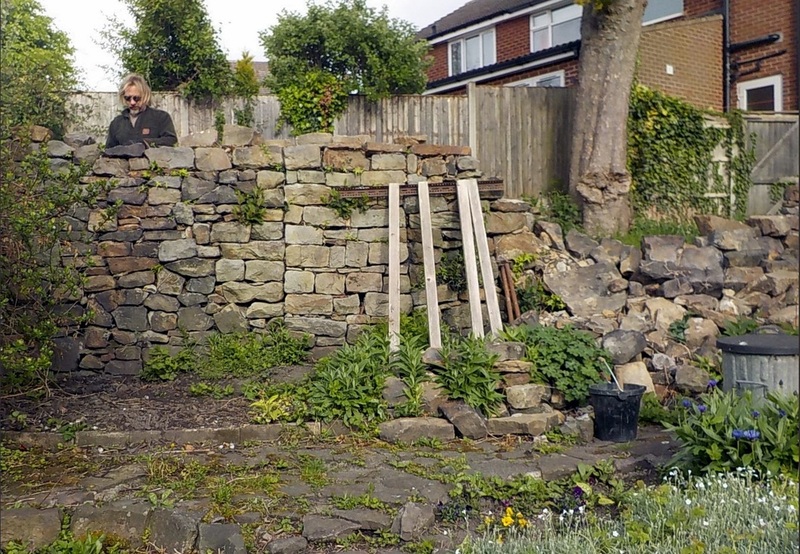 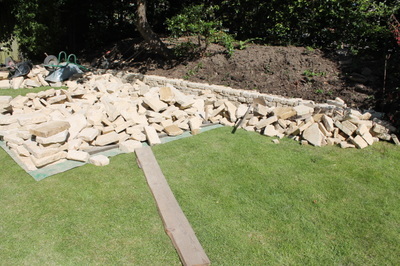 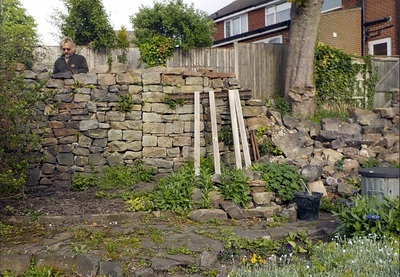 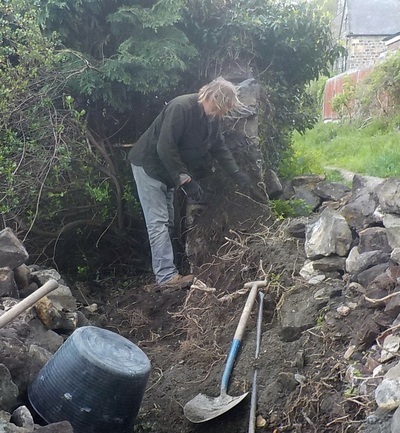 This rear garden gritstone wall had totally collapsed because the base was insufficient. 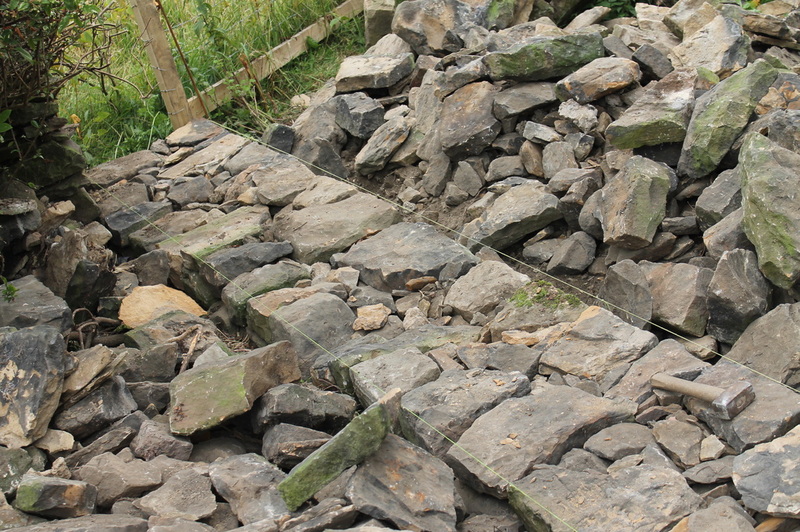 This was an urgent repair because it backed on to a public walkway. We undertook a total rebuild of the collapsed section and restored the section next to it which was destabilised by the collapse and also possibly suffering from the same problems as the collapsed section had been. 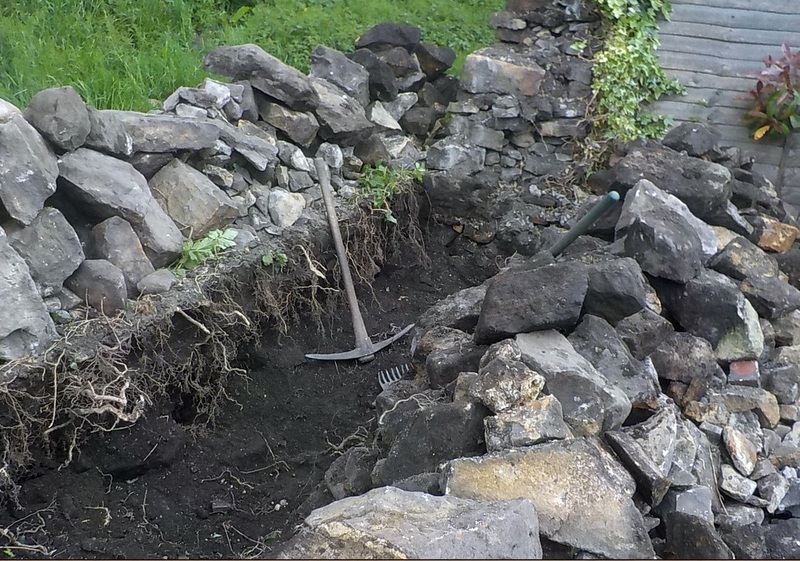 Here is the wall as we found it in its half-collapsed state, with also large 'runs' ( upward running seams) in the standing section. After stripping out it became clear that the base was not solid enough to support the wall and we dug out base completely and set a new sturdy base. 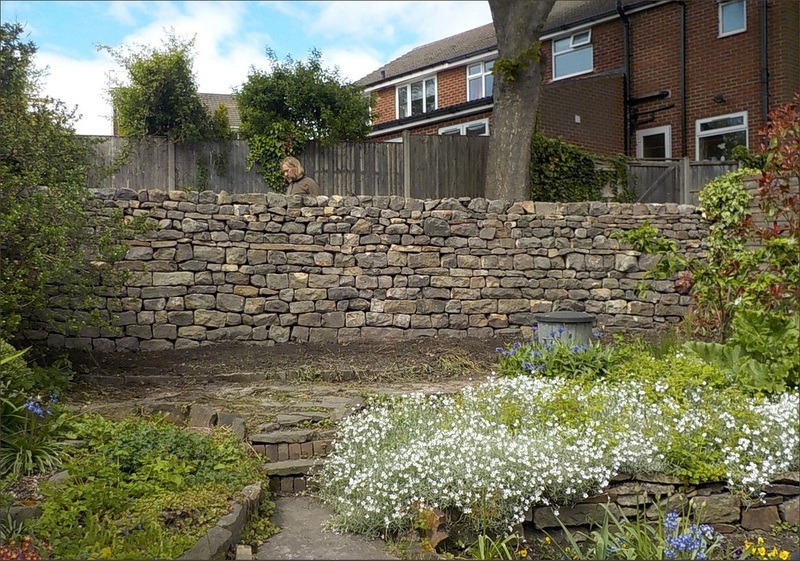 In a small garden, a stone wall can be the main feature and the difference between the before and after had transformed the garden, not only making a stronger boundary but making the garden a nicer space. In the case of this project, the wall was built from new to retain the bank of a driveway on a new build in the suburbs. The stone was brought in lose onsite from a local quarry. 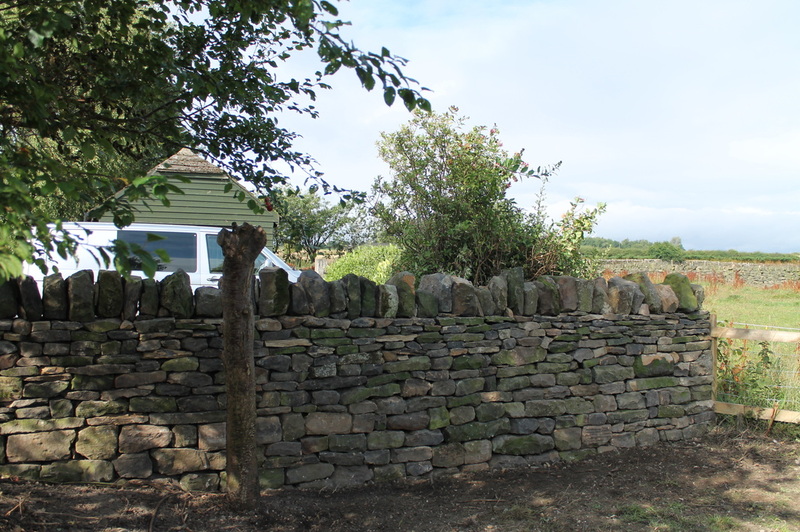 This garden was actually in a small village in the country with great views and a derelict grit stone wall that was badly sagging to rebuild. 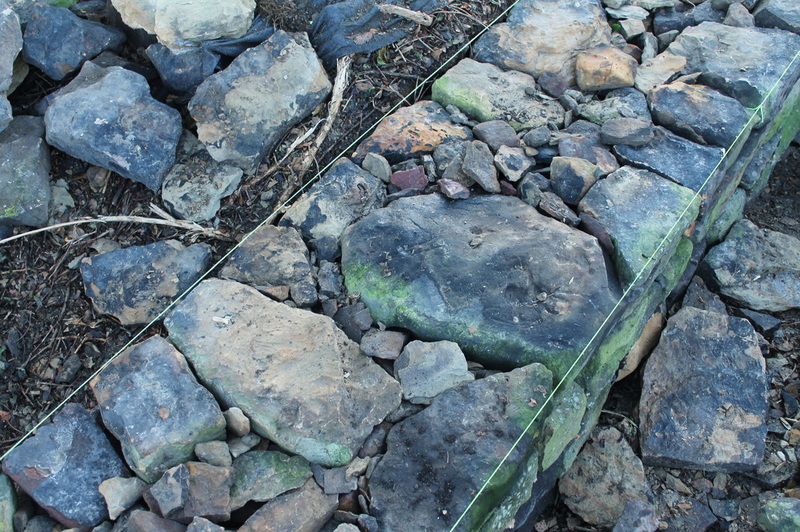 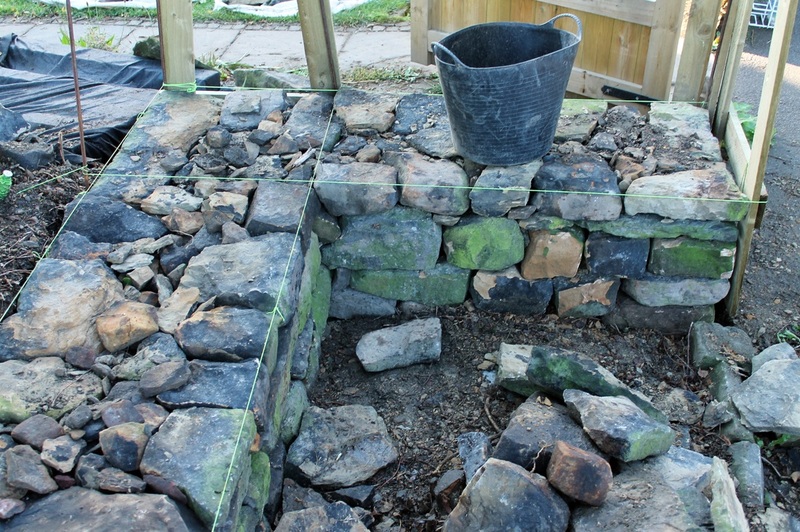 Again it was a case of totally stripping out the wall and re-laying the foundation and strengthening the wall by interlocking the stones and tightly packing as we rebuilt. 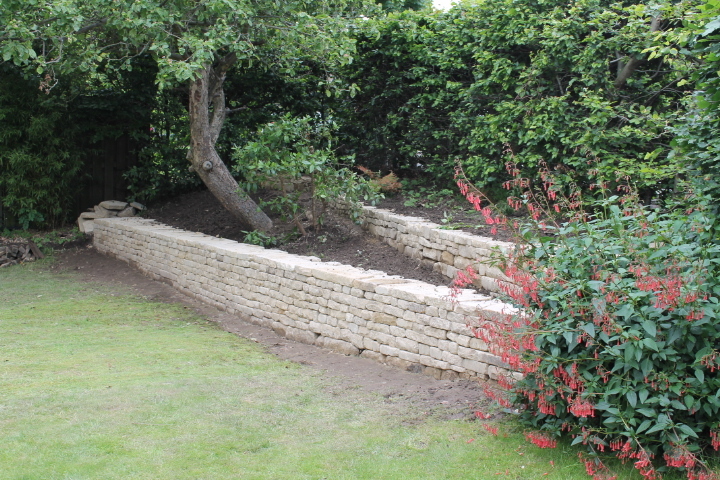 The wall formed an L shape where it returned as part of the gateway to the garden.